The first time I heard the word “Svadhyaya” I immediately thought of “The Divine Secrets of the YaYa Sisterhood,” the 1996 book by Rebecca Wells that was turned into a movie in 2002. It seemed a natural leap, a reasonable thought progression . . . Svad-h-ya-ya. It was that YaYa part that swept over me like a wild banshee cry. But of course, Svadhyaya has next to nothing to do with the YaYa Sisterhood. Unless you consider the book’s plot line that “the tangled beauty of imperfect love, and the fact that forgiveness, more than understanding, is often what the heart longs for,” ties into the self-study that is Svahyaya. That’s a lot of self-examination for a southern tale, and may not be that far off for the YaYa Sisterhood! In yoga, Svadhyaya is one of the five Niyamas (there’s a YA in there! ), along with Saucha, Santosha, Tapas and Ishvara-Pranidhana. 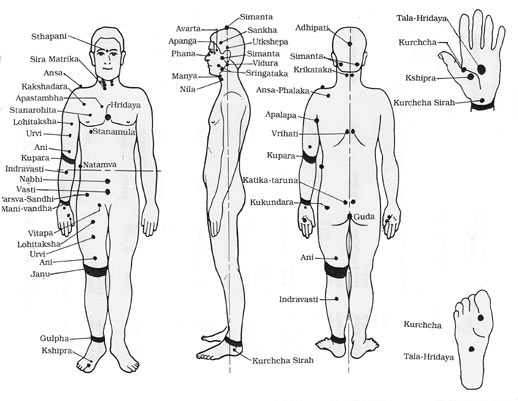 And the Niyamas are one of the eight limbs of yoga. I hope you’re keeping count of all these numbered items for which yoga and many oral traditions are famous! A lot of YAs being laid down too. The short description for the yogic practice of Svadhyaya is that of self-study. A book that is better suited to the “YaYa’s” of yoga, and one that is all about self-study is “Pilgrim of Love, The Life and Teachings of Swami Kripalu,” compiled and edited by Atma Jo Ann Levitt. It begins with the epigraph, “To pilgrims of every path, and especially those willing to be fools for love.” This path to love is very serious and is far from foolish. Pilgrim of Love teaches us much about Swami Kripalu, whose name was given to the Kripalu Ashrams in Pennyslvania where he taught yoga from 1977 to 1981. (In 1983 the Kripalu Center for Yoga and Health continued the legacy in Stockbridge, MA, its current location). Swami Kripalu followed the path of Kundalini yoga, a branch of yoga sometimes referred to as the yoga of awareness. In this book’s deep dive into the life and teaching of Swami Kripalu, there are many lessons for the study of yoga and yogic philosophy. The chapter on “My Guidance to Disciples,” he shares the message given to him by his teacher Gurudev. It is a series of 14 guidelines meant as a summary for yoga Sadhana. As with many of Swami Kripalu’s teachings, the guidelines are not for casual yoga participants, is intended for serious yoga practitioners, and goes well beyond the yoga postures that dominate western yoga. The guidelines start with something common to most spiritual practices, “#1. Love all living beings, do not hate anyone.” And end with #14. Read this guide every Thursday. Guides 2-13 range from the pleasant to extremely difficult. Like #7. If possible, take cold baths three times a day (… to maintain purity and piety of the body. Never sleep during the day, and so on), to the much more difficult #5. Initiates should have one pure and moderate meal a day with milk in the morning and evening. Do not eat meat. Do note use liquor, marijuana, tobacco, coffee, tea, or other stimulants. Ok. Cold shower. No coffee. I got this. Not. Even. Close. One must stand in complete deference to a gifted teacher guiding us to “cross the ocean of samskaras and attain the supreme love of God.” We should not expect that a commodified life of sloth and torpor to usher us to the gates of Heaven, or to send us into immediate Samadhi! The second chapter of the Bhagavad Gita is about the Practice of Yoga and lines 54-72 are all about giving up attachments and investments in both craving and aversion. And the other Chapters 12, 15 and 16 respectively are titled in various translations as The Yoga of Devotion, The Ultimate Person, and Three Kinds of Faith. Memorizing and reading these passages everyday would certainly give one food for thought. Turning the spotlight inward with these passages is a lesson in self-study to examine our behavior in greater detail. For all you Yogic YaYas out there, the following are a few links to other blogs discussing the Niyamas and Svadhyaya! Pranayama is one of the 8 limbs of yoga that deals with using the breath to teach us to manage our “prana” or life force energy. Breathing is one of our most important life functions. We have direct control over our breath. The way we breath is the clearest indication of our state of mind. Pranayama practice is the most direct route to controlling our emotions and the start of controlling our mind. Breath awareness and breath practice will guide us to the proper way to dial into whatever energy level is required for our daily activities. This includes building up energy as well as calming the unpleasant energies of stress, anxiety and fear. There are many types of Pranayama techniques. This discussion includes: Dirgha, Ujayi, Kapalabhati, Nadi Shodhana and Sitali. 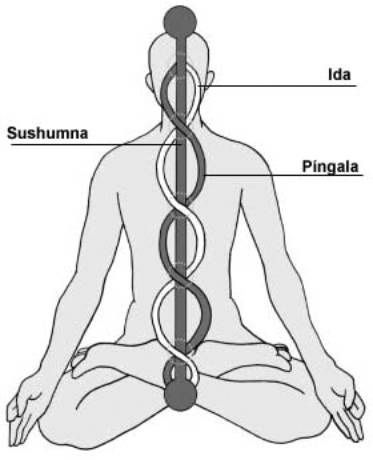 The following Pranayama techniques should be done in a comfortable seated position with an erect spine. It is best done in the morning on an empty stomach and in a quiet location with fresh air and good ventilation. General warning: consult your doctor before beginning this or any Pranayama practice. During this workshop or when practicing Pranayama on your own, if you experience any negative or physical or emotional effects (pain, anxiety, agitation, etc. ), discontinue practice immediately and consult with me, another qualified yoga teacher or a physician. Can be done hands-free, in which case there are no precautions. Body has 72,000 Nadis, or channels for prana. Prana can bring up/create strong emotions (Samskara) and can cause fatigue. Determine what is needed for balance before you start. Is calming and gentleness needed or is energizing needed? Beginners may not want/understand much Pranayama at first. Steps to presenting: name, define, give benefits/contraindications or precautions, demonstrate, lead practice. Can use Pranayama before Asanas to center the class. Dirghe can help center the class at the beginning (maybe use a short sequence, then do Asanas, then add in more Pranayama if appropriate). Breath and invite prana into the areas that need healing. Prana is powerful and subtle. As a teacher, build up skillfulness with a specific Pranayama, study it thoroughly, and find out what works best for you. Know your audience (i.e., may not want to say “clean and purify” to someone with eating disorders but would instead say “nourish and calm”). Love, patience, compassion – consider language that is most appropriate for the student. Recognize what is out of balance in someone, then choose something that will help balance that. You may have to start with energies that attract them and then slowly (slowly and slowly!) introduce opposites and skillfully guide to harmony. Learning to be with yourself in a deep and satisfying way is the springboard for sharing that depth with others. Share yourself in a way that is fulfilling and keeps your love flowing. Teach from the radiance of your own experience with Pranayama. Share the stuff you love. Share and teach the things that light you up. What it means to me, where I practice Tapas in life and yoga practice, ways I do not practice tapas and how I bring this practice into my daily living. Any discussion on the meaning and importance of the term “Tapas” in the modern western world wouldn’t be complete without mentioning that many of us think of Tapas as small meals eaten in overpriced restaurants. It actually fits in this discussion because the definition of the Spanish word “tapas” is derived from the Spanish verb tapar, “to cover.” According to The Joy of Cooking by way of Wikipedia, “the original tapas were the slices of bread or meat which sherry drinkers in Andalusian taverns used to cover their glasses between sips. This was a practical measure meant to prevent fruit flies from hovering over the sweet sherry.” Wikipedia further describes Tapas as being either hot or cold, can be combined to make a full meal and are designed to encourage conversation. Consider this topic covered and still relevant in a yoga discussion! Hold that half Buddha smile as you consider that the Sanskrit term “Tapas” is not too far afield from these small plates of Spanish food. Laugh out loud with a shaking Buddha belly as you envision an enlightened master tell the story of keeping the annoying “fruit flies of life” out of the sweet sherry of your contented mind by covering your glass with Tapas! Is your western mind having trouble following the thread? Here’s the analogy: fruit flies are to impurities as glass of sherry is to body-mind. The two will seem as one in a few more paragraphs. In traditional yoga teachings Tapas comes from the Sanskrit verb “tap,” or “to burn.” Scholars writing about Tapas describe it as the fiery discipline needed for purification. It is the burning off of impurities and impediments (and fruit flies!) through a consistent, dedicated practice. Tapas is the first component in yoga in action (Kriya yoga). Several sources of yoga literature describe Tapas in very strict terms using words like asceticism, abstinence, penance and austerity. I believe these terms cloud the concept in severity and harshness that seems unwarranted. It is true that bringing discipline and consistency to our lives and our relationships can be harsh and very difficult. But let us consider that as human beings on the difficult path to union and bliss (Samadhi) there is nothing wrong with having a hard time mastering Tapas. It may be an unfair starting point, for mere mortals working to gain discipline along the path to think of Tapas as atonement, repentance or a penalty for some wrongdoing. Instead, I relate to teachers like B.K.S. Iyengar who describe Tapas as having a zeal or passion for “yoga in action” (Kriya yoga) that is a determined effort on the path. Tapas is the burning dedication and aliveness we feel when we are on a quest, a pursuit, or involved in a spiritual endeavor. This approach to Tapas feels positive and helps to inspire and motivate. At the very least it speaks to the concept of restraint as a personal choice one makes in exchange for a better life. Another school of thought on Tapas that I personally am trying to bring into my life of relationships and yoga practice is the idea of abiding and of enduring opposites. I am trying to approach this form of Tapas with a passion and patience using continual awareness of the thoughts in my mind. Watching for opposites as they arise helps me see them and understand where they come from. I can do this by noticing what happens in my mind when I experience wildly opposite emotions (love/hate, joy/anger, calm/anxious), when I practice breathing (Pranayama) slow or fast, or when I stay in a yoga posture (Asana) for longer versus a shorter amount of time. Many times in the course of a day I notice I am not practicing Tapas. One of the most obvious ways is when I finally realize that I have not noticed Tapas for several days! This is a clear sign that I am not practicing with any of the adjectives in this discussion: zeal, passion, dedication, abiding and consistency. Specific examples would be when I choose to eat breakfast or dinner before practicing yoga making it unlikely that I will go to my mat or when I meditate for a few minutes and then have this urge to jump up and look up something on the internet that ostensibly relates to my practice. The list goes on with things like becoming impatient or irritated at running into an acquaintance who is very different than I am and who talks at length on subjects for which I strongly disagree. Road rage. Anger or jealousy toward loved ones. These would all be considered impediments to purification, or on the simplest level roadblocks to being of clear mind to practice yoga, Pranayama and meditation with clarity and focus. I continue to work at bringing more Tapas into my life is by choosing the intention and discipline to practice yoga and Pranayama everyday, along with the other 8 limbs of yoga. I work to actually use the words “yoga in action” when I speak and when I make decisions through incorporating the 3 components of Krya yoga: Tapas, Svadhyaya and Ishvara Pranidhana. I find that Tapas slips from my daily practice when I become too rigid on the length of my yoga practice or in the intensity of my Asana series. Back to the glass of sherry analogy . . . I don’t need a full glass of sherry everyday and a few fruit flies in the glass won’t kill me! In other words, I need to remember the Yama’s of Aparigraha and Brahmacharya so that I am not too greedy, clinging too tightly to how things must be or expelling energy in wasteful ways. To borrow the definition of Tapas from the Spanish term “tapar” I would like to reiterate the idea that keeping a cover or a lid on your glass is in fact yoga in action – where you remain pure and free of fruit flies and where the sherry in your glass is always rarefied and clarified! Both kinds of Tapas are less like small meals and more like morsels that increase the appetite for the larger feast of life. Sanskrit verb “tap” means “to burn.” Tapas is a “fiery discipline” for purification. Self-discipline, self-study and devotion are yoga in the form of action, as a means of orienting toward the ideal of pure awareness. Tapas is the third of five principles of Niyama and the first of the three components of Kriya yoga (yoga in action: Tapas, Svadhyaya and Ishvara Pranidhana). Tapas is the ability to endure opposites like heat and cold, pain and pleasure, joy and sorrow. It is often referred to as penance and austerity. Tapas is not simply enduring difficulties but abiding in the midst of difficulty. Tapas is having a zeal or passion for yoga in action and is a determined effort on the path (the Sadhana, or quest, practice, discipline, pursuit, spiritual endeavor). It is the discipline of consistency that is focused on the quality of life and relationships. Consistency is difficult because it requires a dedication to practice (postures, meditation, breathing) regardless of external circumstances. Tapas is having a willingness to begin practice again and again, over and over to bring awareness to the present moment. The purpose of Tapas is to bring strength to the body and mind through the elimination of impurities. This happens by burning off impediments that keep us from being in the state of yoga. The body prepares to hold the infinite consciousness and the body-mind can come to see the divine that is in everyone. Chip Hartranft – The Yoga-Sutra in English, Appendix B, The Wisdom of Yoga by Stephen Cope.